Natadradave miracle/spring/holy warter NOT ALLOWED in New Zealand. 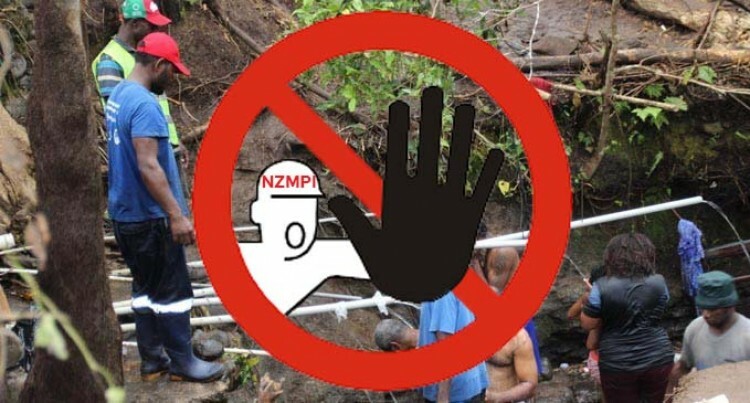 Fiji’s so-called “miracle” water from the Natadradave springs is “not allowed” into New Zealand, the Ministry of Primary Industries (NZMPI) posted on its Facebook page . “We’ve been seeing a lot of passengers from Fiji arriving with bottles of holy water from natural springs. Last night, the Biosecurity of Fiji chief executive officer, Xavier R Khan, emphasised that there was no ban placed by the New Zealand authorities. “Miracle water (natural spring water) believed to have healing properties taken by Fijian travellers to New Zealand has not been banned by the New Zealand Ministry of Primary Industries (NZMPI). Biosecurity Authority of Fiji (BAF) has not received any official notification of any such ban by NZMPI,” he said. “Miracle water (natural spring water) can be a good host for the transmission of biosecurity risks. Heat treatment is a biosecurity import requirement set by NZMPI for which they have requested travelers to declare the miracle water (natural spring water) at the NZ borders. “As per normal border inspection and clearance processes, if the regulated article does not meet border import requirements, it may be detained and/or destroyed. Mr Khan also advised all Fijians travelling overseas to familiarise themselves with the biosecurity requirements of the respective country they were travelling to and ensure compliance with the country’s requirements. In the The Border Space newsletter, various “interesting risk items” were picked up by the NZ border control. The Natadradave healing waters was one of them. Other items included Thai fish with maggots, Fruit-fly in suitcase and Spanner crabs still alive. Here is what was noted about the Natadradave waters. “Miracle water poses biosecurity risk My staff have seen a lot of weird things coming across the border this summer, but I have to say “miracle water” is stranger than most. The water has been arriving in New Zealand in significant qualities from Fiji. “It is sourced from a spring in the village of Natadradave in the Tailevu province and is believed to have healing properties. Apparently there has been a lot of local and international interest in the water since it was used to combat an outbreak of conjunctivitis last March.